The National Medical Commission Bill 2017, which seeks to replace MCI with a new body, to ensure transparency, was introduced in the Lok Sabha recently. 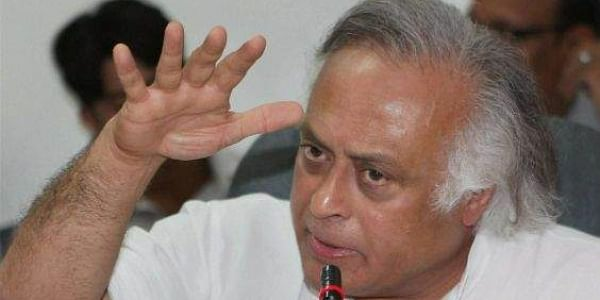 NEW DELHI: A bill that seeks to replace the apex medical education regulator, the Medical Council of India (MCI), with a new body, has "many problematic" provisions, Congress leader Jairam Ramesh has said and demanded that the bill be referred to a parliamentary standing committee. The senior Congress leader has demanded that the bill be referred to a standing committee for examination in letters to both Union Health Minister J P Nadda as well as to Vice President M Venkaiah Naidu. Ramesh has urged the Centre not to "hurry" with the important legislation while noting that waiting another three-four months will not be "disastrous" and can improve the bill substantially. In his letter to Nadda, Ramesh said that although he appreciates that the minister has incorporated the spirit of the Standing Committee report on Medical Council of India, but there are far too "many problematic" provisions in the bill which "go against" the committee report, making him "deeply uncomfortable". "I still feel, you should refer the Bill to the Standing Committee and ask it to submit its report by the end of the 2018 Budget session. I humbly request you not to stand on prestige and do so," Ramesh said. "The Bill has been selective in its borrowing from the Standing Committee report. To say that it is based on the Standing Committee report and therefore needs no further examination by the Standing Committee is simply not true," he wrote. Congress members had in the House protested the introduction of the Bill by Nadda, demanding that it be sent to the parliamentary standing committee for thorough scrutiny. "Please do not hurry with this very important legislation in this manner. Another three-four months will not be disastrous for you. We can improve the Bill substantially," Ramesh said in his letter to Nadda. In his letter to the vice president, Ramesh expressed his "deep sense of anguish" that the NMC Bill will not be sent to the Standing Committee headed by Ram Gopal Yadav for detailed examination. Ramesh is also a member of this committee. In March 2016, the Standing Committee presented its 92nd report on the MCI in which it had made a large number of recommendations. "On the grounds that the Standing Committee had submitted this report, the Government is taking the view that the Bill need not go back to the Standing Committee. This is a fallacious argument," Ramesh said in his letter to Naidu. "First, the Standing Committee never examined the Bill. Second, many of the provisions of the Bill go against the recommendations of the Standing Committee," he wrote. Nadda had said in the House had that the bill incorporates suggestions made by the standing committee. "I am not saying that the Standing Committee is the repository of all wisdom. All I am saying is that it should be given an opportunity of examining a very important and far- reaching piece of legislation," Ramesh said in the letter. "Give it time, deadline by all means but do not stifle by preventing it fulfil its main objective -- which is the examination of Bills. I have appealed to my good friend Naddaji. I am appealing to you as the Chairman of the Rajya Sabha," he wrote. Clause 49 of the Bill calls for a joint sitting of the National Medical Commission, the Central Council of Homoeopathy and the Central Council of Indian Medicine at least once a year "to enhance the interface between homoeopathy, Indian Systems of Medicine and modern systems of medicine", a point, reports have suggested to be as controversial. The Indian Medical Association (IMA) too has strongly opposed the bill and has appealed to the prime minister to revise it in the larger interest of the medical profession. According to the IMA, the NMC will "cripple" the functioning of the medical profession by making it completely answerable to the bureaucracy and non-medical administrators.